﻿ How Our Next-Generation Editor Takes Email Marketing to the Next Level » Red Mango Marketing! « Which Presidential Candidate is Winning in the Inbox? At Constant Contact, we talk to our customers. A lot. With 25,000 customer calls, chats, and emails on an average week, we’re dedicated to listening to our customers and helping them succeed. So when we first started building our next-generation editor, we did our homework. From deep customer research, big data, competitive analysis, and — yes — a lot of customer calls, we took our time to understand your biggest marketing challenges. And while we knew our existing email editor had a lot to offer, we also knew there was a lot of room for improvement. Which is why we decided to take things to the next level. Our next-generation editor is designed to help small businesses and nonprofits easily create engaging and compelling emails that look professional on any device. Balancing simplicity and power, we set out on a multi-year effort to create the best email editor available. With over half of all emails now opened on a mobile device, it’s essential that your emails look great — no matter what device they’re viewed on. That’s why every email created using our new editor is mobile responsive. Choose from a full selection of mobile-responsive email templates that automatically adjust to the right size when viewed on a computer, tablet, or smartphone. You’re a baker. You’re a mechanic. You’re a CPA. You’re not a designer. So when it comes time to send your next email, you need an editing experience that’s extremely easy to use. Our editor’s smooth drag and drop experience makes creating an email faster and easier than ever. And our unique Smart Columns feature allows you the flexibility to fine tune column sizes. Make a mistake? Our undo/redo feature remembers ALL edits in an active session. We want your email marketing to fit in seamlessly with the rest of your marketing efforts. Say you have an existing promotional flyer for your business. With Constant Contact, you won’t have to recreate anything. 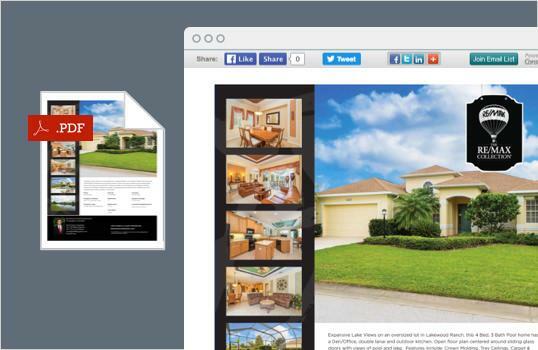 Simply upload an already-designed PDF and we’ll convert it into an image for your email. You can then add buttons, columns, and functionality as needed. These are just a few of the new features our next-generation editor has to offer. Behind-the-scenes, we’re busy releasing new features and enhancements on a schedule of about every two weeks to ensure your business is always on top of the latest marketing trends and best practices. You can stay updated on new product enhancements any time by visiting the Help Center in your Constant Contact account. We look at data to see which features people are really using and which features are slowing people down. We’re proud to see that the send success rate is higher with our next-generation editor, particularly for new users. That said, if there’s a feature you can’t live without, let our Support team know. Your feedback is tracked by our Voice of the Customer team, which helps us prioritize upcoming product improvements. At this time, all new customers will receive our next-generation editor automatically. Not a customer yet? Test drive our new editor for free for 60 days! Sign up for your trial here. Existing customers can gain access to the new editor by contacting our support team at toolkitsupport@constantcontact.com. 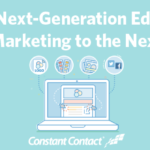 The post How Our Next-Generation Editor Takes Email Marketing to the Next Level appeared first on Constant Contact Blogs. This entry was posted on Tuesday, October 18th, 2016 at 8:00 am	and is filed under Business Tips, Choosing Templates, email design, Email Marketing, Fresh Insights, News, News & Updates. You can follow any responses to this entry through the RSS 2.0 feed. Both comments and pings are currently closed.